Alibaba is the worlds largest marketplace and your success as an ecommerce seller depends on your ability to find low price high quality products that you can resell for a lot more money on eBay. Picking just about any cheap product to resale is the fastest way to ruin your business reputation. Not only will you pick low quality items that might not sell, if they do sell you risk getting bad reviews and worse just product over hang with lots of stuff that you cannot sell. This course is a mini demo version of my best selling 7.5-hours long Alibaba course. In this mini course you will learn how to get started fast on Alibaba and what products you should get to sell on eBay, Amazon FBA or Shopify. This mini course is designed to teach you basics you need to get started. 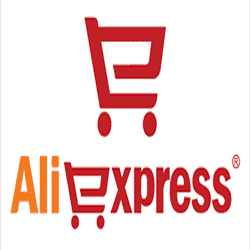 Including how to open your Alibaba business account, the difference between Alibaba and Aliexpress and a few examples of products you can get right away to get started. In this mini course you will learn…. Next What is the best course on drop shipping via shopify?